Fitness trackers are incredibly common nowadays. Whether you have an app on your smartphone, a FitBit, an Apple Watch or any one of a number of other trackers, or even a simple pedometer, it seems nearly everyone has access to one. If you don’t, basic models are much less expensive than they were even just a handful of years ago, and the fanciest models can do more than ever. 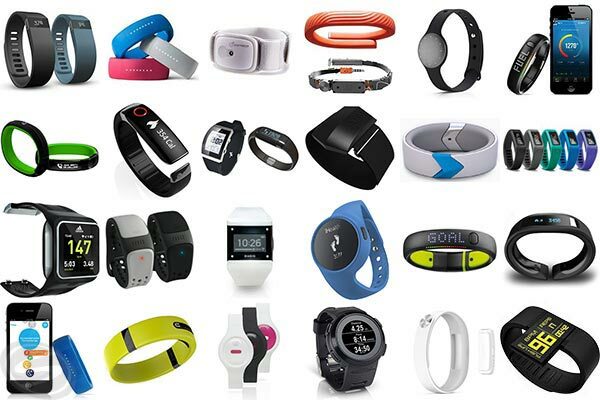 Fitness trackers can be used in a seemingly endless variety of ways. Whether you’re simply tracking steps taken, or distance covered, pace, heart rate, calorie burn, they can do it all. Need an hourly reminder to get up and move? Some can even tap you on the wrist to remind you. They can even be used to remind you to breathe slowly and mindfully for a minute a few times a day, or remind you to drink your water. I burned 300 calories on my lunch time walk? I can get that treat from the vending machine when I get back to the office. This week I made my move goal of 300 calories every single day? Sunday brunch is going to be awesome! 750 calories torched at Zumba class? Yes, I can have seconds at dinner and dessert, too. Not only is this way of thinking unhealthy, and particularly troublesome for those trying to lose weight, but those calorie burns are notoriously inaccurate. I first started becoming concerned when my tracker would give me significantly different results than the cardio equipment I was using. Then, as I tried new trackers, results from one to another would be significantly different, even after a similar workout. I’m talking hundreds of calories different; sometimes there was a nearly 100% variation. One device would tell me 250 calories, another would say 500. As I tried to find the best tracker for calorie burns, I was able to apply my knowledge as a trainer. I knew it would absolutely have to have a heart rate monitor. This was just a handful of years ago, and that was pretty rare. They required a chest strap which would communicate wirelessly to the device on my wrist. That’s no longer necessary, as some devices can now track your heart rate from your wrist with high accuracy. The reason the heart rate is so important is that otherwise the tracker is basing your workout on movement only. Where you are wearing your tracker on your body will greatly impact the results. I see this every day with my Apple Watch, which I rarely put into workout mode (that would turn on the heart rate monitor) because it drains the battery. Since I wear it on my wrist, if I’m doing a workout that doesn’t involve me moving my arms much or very quickly (a strength based upper body workout, or a core workout), I’ll see a stupidly low number. Conversely, you can make the watch think you’ve gotten up and moved around just by swinging your arm around for a minute. When I further researched trackers, I found that each manufacturer uses a proprietary algorithm and gives different weight in their equations to heart rate, gender, weight, age, and even what type of workout you’re doing. The results of that are that some trackers will give a fairly accurate calorie burn for one type of activity but be considerably more off for others. From model to model within brand, you’re still likely to find this issue. But here’s the thing about calorie burns in general. They are notoriously difficult to calculate. The best way we have involves measuring oxygen consumption. That requires wearing a mask that’s attached to a backpack or stationary device. They cost about $30,000-$50,000, and are clearly appropriate for a clinical setting only. Without getting a measurement of oxygen consumption, everything else is just an estimate. The science behind calculating an accurate estimate from inputting gender, age, and weight alone simply isn’t “there” yet. Even if your tracker also factors in activity and heart rate, it’s still likely to be 10-25% or more off, and almost always that’s going to be falsely high, not falsely low. Here’s how you can use the calorie burn as helpful information though. It can be used to set something of a baseline for your workouts, and evaluating how hard you might have pushed yourself. If you can view the history of your workouts on your device, it would be pretty easy to go back over the last month and compare similar workouts and calculate an average. If your device doesn’t have a history, start writing down your burn after each similar workout. After about 10 workouts, you’d have enough data for an initial average. Then, each time you do that workout again, use the newest burn rate against that average to see if you pushed yourself harder or not. Just be sure to not compare a 30-minute walk to a 50-minute dance class! In conclusion, fitness trackers are really good at tracking steps taken, distance covered and calculating pace. If you’d like reminders to get up and move, drink more water, or breathe deeply, some will do that too. Depending on the method used, some will even track your heart rate pretty accurately. But please, take any calorie burns as an estimate only, probably not a very good one at that, and don’t “treat” yourself based off those numbers.